During the hot summer months the outdoor space of your house can become the ideal spot for relaxing and spending wonderful moments with family and friends. A stunning outdoor space can also increase the value of your house and enhance the beauty of the entire living space. Creating a stylish outdoor space does require some strategic styling, but is not as complicated as it might seem at first glance. With a bit of creativity and by following some simple design rules you can transform your outdoors into an attractive feature of your home. Before you start with the chic makeover of your backyard you would want to clean the space properly and get of any bits and pieces that create clutter. After all clean and neat outdoors are the starting point from where you can add new practical elements to your design scheme. The next step is to choose a theme. From green oasis to a party paradise, there are many popular themes you can choose from. A chic alfresco dining is the most popular theme for outdoor spaces simply because it provides everything you need for both hosting guests and chilling out with your family over a nice meal. To create your very own outdoor dining area you need to plan a layout that will best suit the space you have at your disposal. This will help you figure out how many furniture pieces to give the space a nice flow, without making it look crowded. Once you've planned the layout, the next step is to choose stylish furniture for your alfresco area. 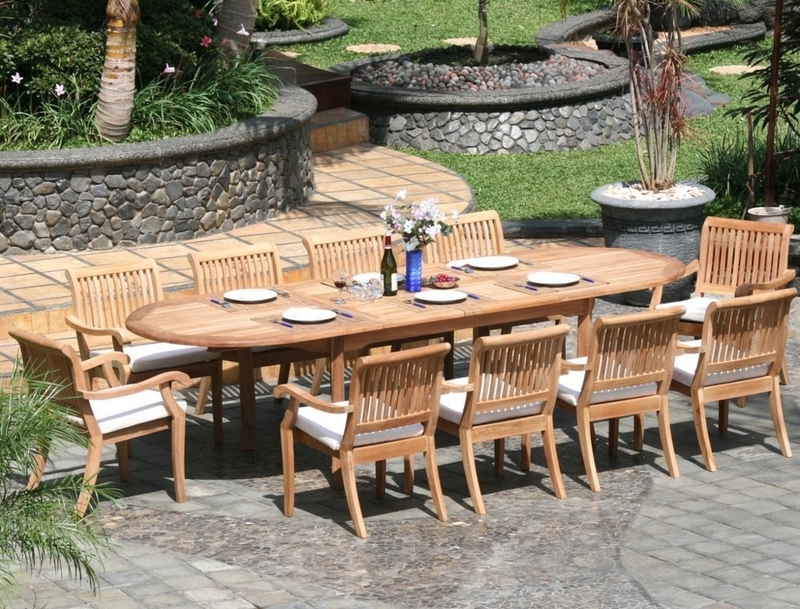 With its elegant and practical design, teak outside furniture can be the ideal choice for this purpose. Teak is a durable wood specie with a rich grain that can instantly improve the look of your outdoors. What's more, teak outside furniture pieces are known for their effortless elegance that can compliment any outdoor setting. In addition to arranging your teak table and chair set that will serve as the focal point of the alfresco area, the whole space should have decorative pieces as well. Few things can beautify your outdoor dining area as colourful flowers and plants. Place them in chic pots and create a unique arrangement that will for sure capture the attention of your guests. You can further enhance the beauty of the space by placing a few lanterns that will give some rustic vibes to your outdoors and set the ambience for wining and dining after sunset.